Welcome to Australian Boating. 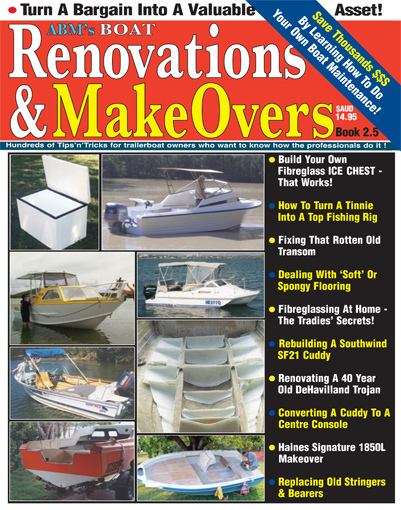 . .
Our national, monthly PDF magazine dedicated to all kinds of recreational boats - fibreglass power and sailing boats, imported boats, plate aluminium fishing boats, pressed tinnies, composite fibreglass boats, DIY boats - if it floats, and gets you out there, we're interested! 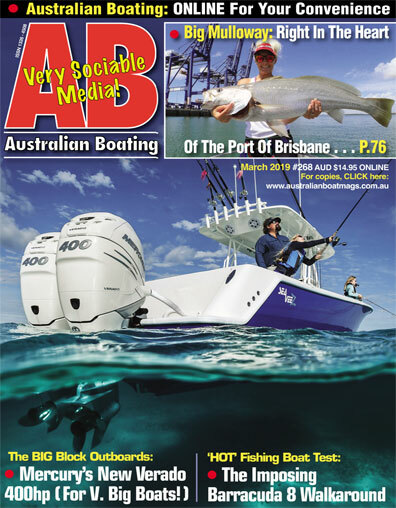 Australian Boating is an independent, national magazine with a great deal of experience, a passion for all kinds of boating, fishing and cruising - and we are dedicated to helping you have a great time on the water with your family and friends. 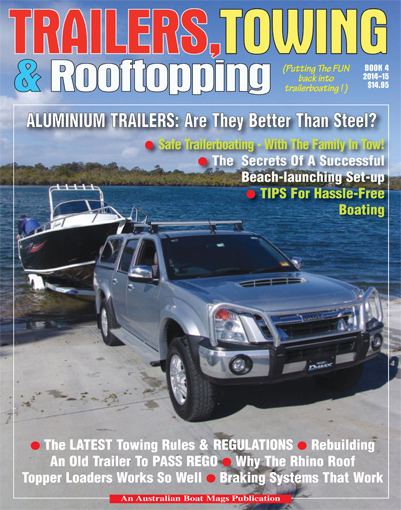 The editor, Peter Webster, launched Australian Boating (AB)way back in 1973, and over the years, has been on just about every waterway and fishing ground in Australia. A professional boating photo-journalist, he has tested hundreds of boats of all shapes and sizes in a career stretching back some 45+ years. He is a passionate DIY, fishing and sailing enthusiast, and has owned and operated dozens of boats from 3.0m tinnies to 16.0m game boats, in mono, cat and tri configurations. Australian Boating has a major involvement with marine engines and fitting-out chandlery. 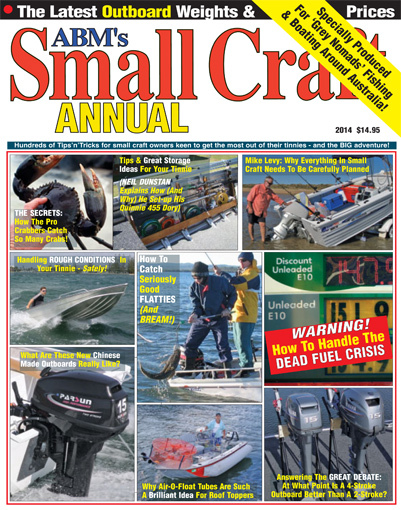 We publish Australia's only Outboard Database and regularly feature interesting new info from Mercury, Yamaha, Parsun, Evinrude, Suzuki, Honda and Tohatsu outboards, plus inboard engines from MerCruiser, and Yanmar, Steyr and Volvo Penta diesels - plus keep a close eye on the emerging electric outboards from ePropulsion and Torqeedo.We also keep a careful 'watching brief' on boat design, sailing systems, marine engineering and drive developments all over the world. Marine electronics is a specialty, and we have an extensive field test program for the top brands in 2016-17, including Raymarine, Garmin, Lowrance, Simrad, Furuno, JRC, FLIR, etc. 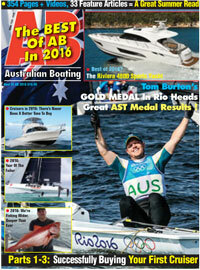 These are complex, challenging times for the boating world; but you can be sure of keeping abreast of the most important changes with a monthly subscription to Australian Boating magazine. February and early March has been a very busy period for the AB team with the warmer summer weather bringing fish-rich currents down the east coast (between the squalls, storms, and the odd cyclone or two) but happily for Brooke Frecklington, it also brought down this year’s black marlin season to her favourite fishing ground, east of the Gold Coast Seaway entrance. She not only ended up in a titanic 2 hour struggle to subdue a marlin estimated at around 170kg on her spinning reel (always a challenge! ), but was relieved to discover her husband Denis had captured most of the fight on film which they share with you this month. But her luck continued; a subsequent trip with her brother Nathan mid- week along the Brisbane River, right underneath this busy shipping port’s giant cranes, saw them getting into a school of daytime jewfish, leaving Brooke a very happy girl, with not one, but two features in March AB on different fishing styles. AB Sailing Editor Di Pearson has also had an extraordinary month, with all the usual summer regattas and championships along the east coast, as well as the inaugural round of SAILGP. This event did live up to the hype, despite the disappointingly quiet conditions which prevented these amazingly fast foiling cats reaching their full potential. Di has completed the SailGP results in this terrific March issue. In the boat test and review department, it's been a rich month, with the first details of the spectacular, South African built Voyage 590 cat, which costs serious money, but is probably the ultimate charter or live aboard multihull. With no less than six bedrooms and crew quarters, it's one hell of a charter boat! Of particular note, PW finally had the opportunity to run one of the Beneteau Barracuda Walkarounds before it was delivered to its owner, and pleasingly, with the Barracuda 8 still with plastic wrapping, not only delivered the goods, but left Peter believing it was very definitely "best in class”. Praise indeed for a beautifully finished and superbly appointed fishing boat. Another remarkable product was the release of the all-American, all-electric (yes!) AWD Rivian, an extraordinary vehicle that is destined to change the way the whole world thinks about off-road vehicles and 4WDs. This is not just some concept blowing in the wind – these cars are now on sale in America and are expected to be released in right-hand drive in Australia sometime in 2020. And last, but not least by any means, we have published the second instalment of the historic "Krazy Kate” report – detailing the longest inland river voyage ever made in Australia, revealing a unique glimpse of the troubled Murray Darling Basin as it was in the 1930s. Reader reaction to this story’s first instalment was remarkable – and this is even more interesting, as it specifically relates to conditions (especially drought and fish kills) occurring on the Darling River to this very day. 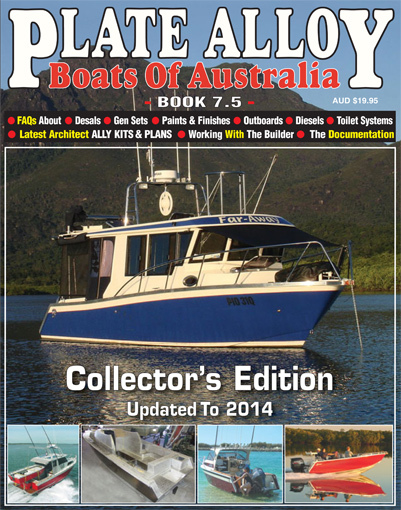 All in all, another very good edition of Australian Boating magazine, where $69 buys you a Baker's dozen subscription – with 13 issues for the price of 12. 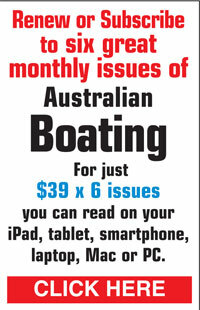 Great value, and a busy, interesting magazine by Australia’s most experienced marine journalists.